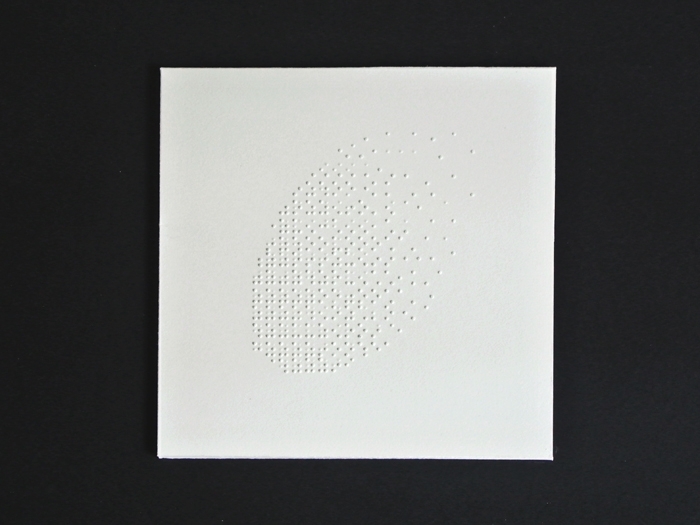 Five drawings engraved using a Hall Braille Typewriter machine from 1891. 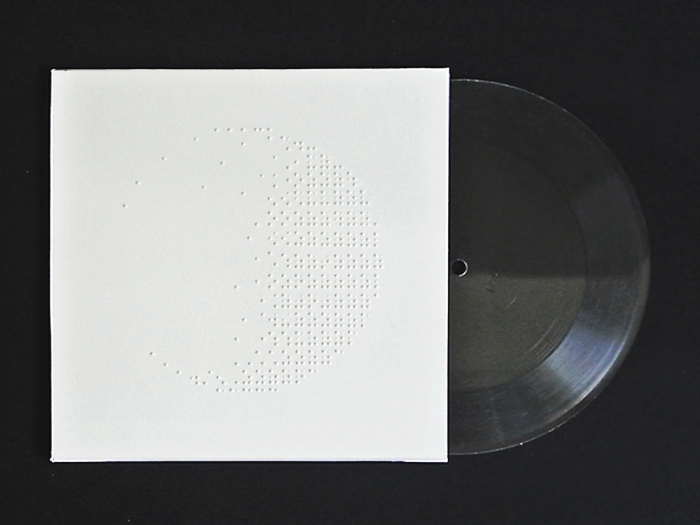 The rhythmic patterns generated from the mechanical manipulation of its 6 keys were recorded into 7” vinyls. 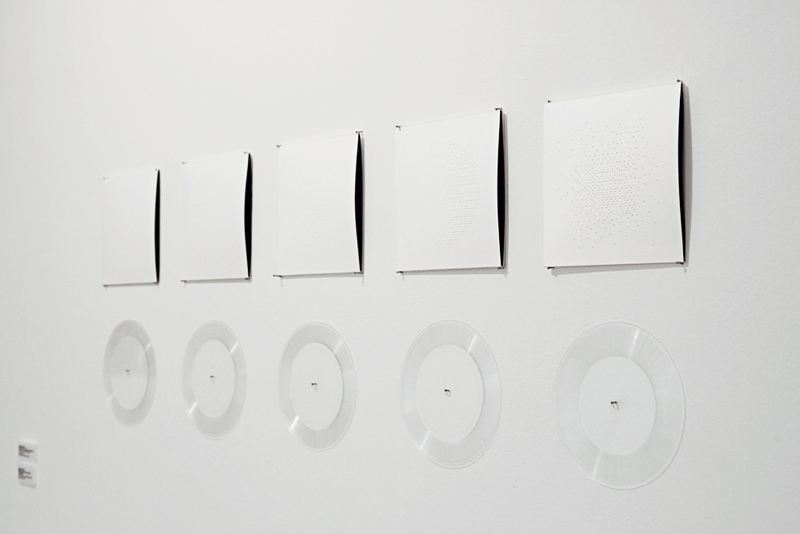 Each record contains the sound of the printing process of its cover. 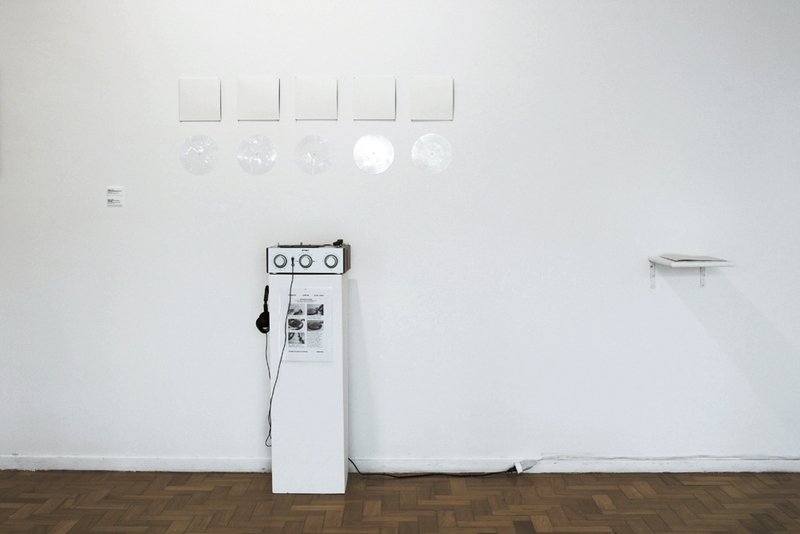 As a chicken-egg-reading-writing question, the drawings become notations for the sound patterns, at the same time the sound recordings can also exist as scripts for the drawing's reproduction.